NEW YORK, March 15 (Reuters) - Only one in five U.S. taxpayers expects to pay less income tax this year as a result of the tax reform law passed in 2017 by Republicans who promised big savings for everyday Americans, according to a Reuters/Ipsos opinion poll released on Friday. The poll suggested that the tax overhaul, mostly geared to helping businesses, may not be as strong a 2020 campaign talking point as Republicans and President Donald Trump had hoped. The U.S. Treasury Department insisted that most Americans were paying lower taxes under the new law. Just prior to approval of the tax reform by the Republican-controlled Congress, Trump said, "This is going to be one of the great gifts to the middle-income people of this country that they've ever gotten for Christmas." The tax overhaul temporarily lowered federal income tax rates for individuals and raised the standard deduction that people can use to reduce their taxable income. But it also capped certain deductions, such as for state and local taxes, that can be claimed by taxpayers who opt to itemize instead of taking the standard deduction. Historically, a majority of U.S. taxpayers have claimed the standard deduction on their federal tax bills. The March 6-11 survey found about 21 percent of adults who had either filed their taxes or planned to said "the new tax plan that Congress recently passed" would let them pay less this year; about 29 percent said they would pay more; 27 percent said there would be no impact; 24 percent said they were not sure. The responses differed along party lines, with Republican taxpayers more likely than others to expect a tax benefit. According to the poll, about 33 percent of Republicans said they would pay less tax; 17 percent said they would pay more. Among Democrats, about 8 percent said they would pay less; about 45 percent said they would pay more. The $10,000 cap imposed on the deduction of state and local taxes, which was previously unlimited, has been seen having the greatest effect on taxpayers in high-tax states, including New York, New Jersey, Illinois and California, which are all largely Democratic. The U.S. Treasury Department said in a statement that the Tax Cuts and Jobs Act (TCJA) "cut taxes across the board, particularly for middle-income Americans, as well as doubled the standard deduction, doubled the Child Tax Credit for families, and altered other deductions and credits. As a result, 80 percent of Americans are paying lower taxes ... and 15 percent of filers will pay about the same amount." 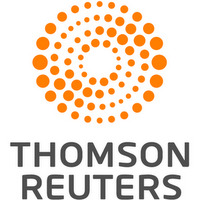 The Reuters/Ipsos opinion poll was conducted online in English throughout the United States. It gathered responses from 1,755 people, including 1,439 who said they either “already filed” or “will file” an income tax return. It has a credibility interval, a measure of precision, of about 5 percentage points.